Ophiux gives a glimpse into a near future that whilst fictional, is not far from reality and is founded on current scientific research. The work imagines a future in which synthetic biology has been fully realized and applied to both advance human evolution and increase life expectancy, and where human biology has been computer programmed. 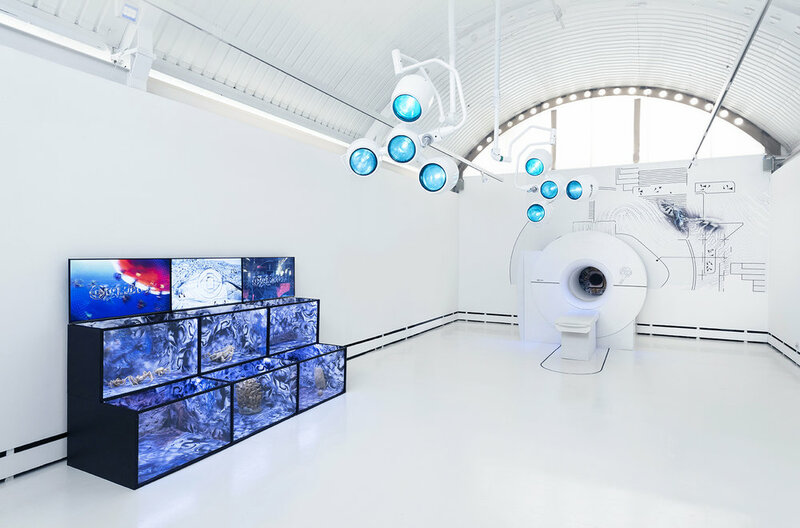 The installation includes a film work and a ‘futuristic medical room’. 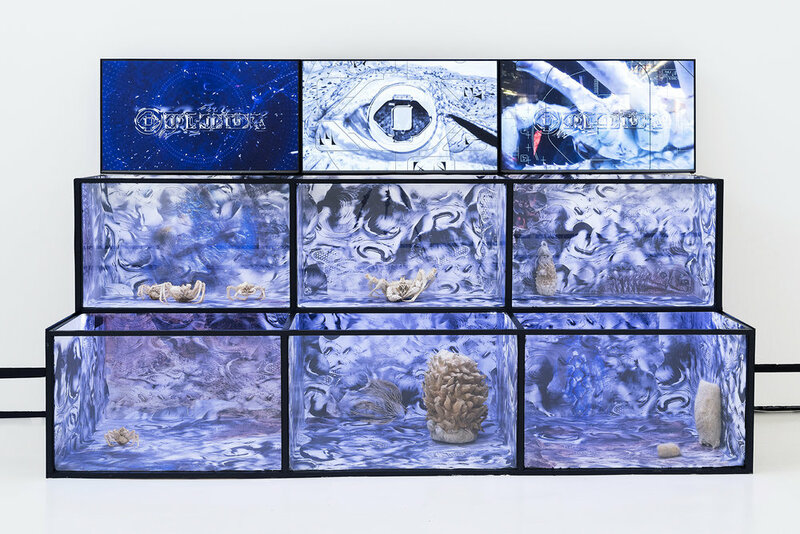 To conceive the exhibition, Holder worked in close collaboration with scientists she met during her residency at Wysing in 2015 - Dr Marco Galardini, a Computational Biologist at the European Bioinformatics Institute at the Wellcome Trust Genome Campus, Cambridge, and Dr Katrin Linse, Senior Biodiversity Biologist at the British Antarctic Survey, Cambridge. Ophiux is located across two sites at Wysing Arts Centre, with the main installation in the gallery and the film presented in the open studio. The film has been co-commissioned by Deptford X where it premiered at their festival in September 2016, followed by a tour to Sonic Acts, The Noise of Being exhibition in Amsterdam. The exhibition was made possible with a generous grant from the Arts Council England.